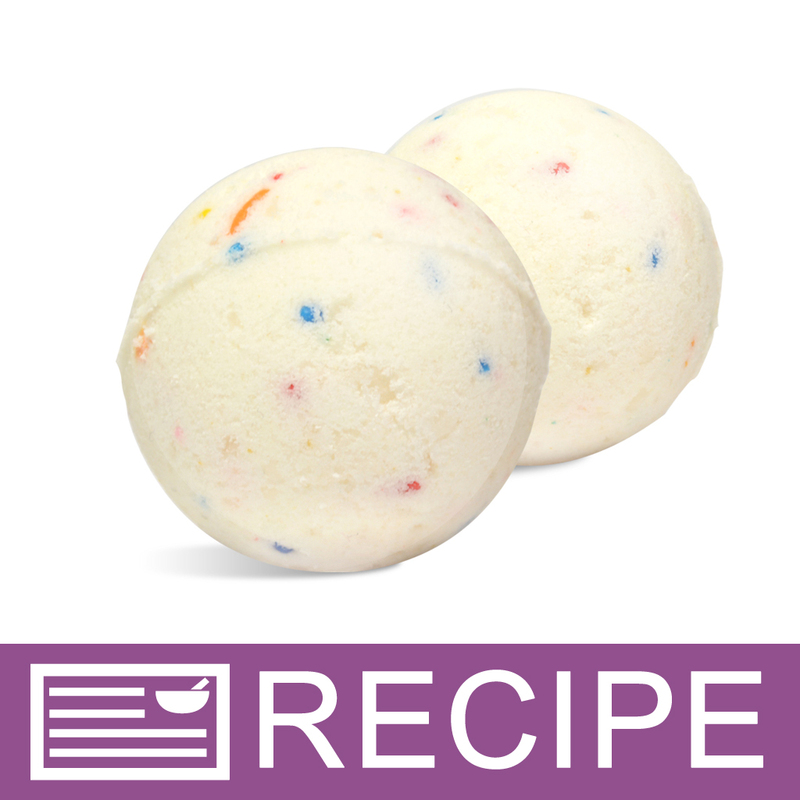 Create birthday party favors with this bath bomb making project! The fizzies are off-white with colorful colors peeking through. Make your own party favors with this bath fizzy making project. The bath fizzies are made with citric acid, baking soda, and epsom salts, which will effervesce in bath water. 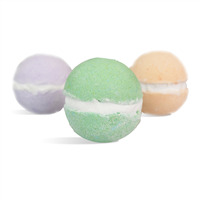 As the bath bomb fizzes, the moisturizing shea butter, yogurt powder, and apricot kernel oil will be released. Top that off with the pleasantly sweet aroma of confetti cake. You Save $43.10 by purchasing this kit rather than buying the items separately. COMMENTS: I loved this! It was easy, and my testers absolutely loved it! Will purchase again!! Just need to get some help when making them. 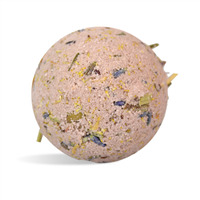 "Birthday Cake Bath Bomb Fit"
COMMENTS: Wonderful! Fairly easy to make, smells phenomenal, and make your skill feel super soft!! COMMENTS: I love this kit. Didn't know if I would be able to make bath fizzies but the ingredients and directions were spot on. I was planning on making this for a gift but decided to keep half of this for me. I want to thank the owners of Wholesale Supplies for their reasonable priced kits and also the free recipes without charging their customers. "Great kit would definitely buy again!" COMMENTS: This was my first time making bath bombs. The kit was easy to use and really fun. They turned out great! The candy sprinkles make these look good enough to eat! Very fun and cute. COMMENTS: This kit was very fun to make, the smell is great too. 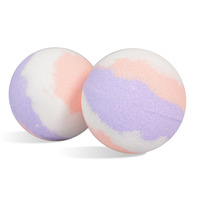 "Birthday cake bath fizzies "
COMMENTS: This was my very first kit from WSP, and I was concerned about how easy it would be because I have seen people have issues with bath fizzies, but everything was perfect ! Great intro to bath fizzies!! "What is the shelf life of this product once it is packaged?" Staff Answer Finished products are best used within one year of manufactured date. "What is Vanilla Color Stabilizer - CP Soap for? Do I need to use it in the kit? " Staff Answer The fragrance used in this recipe, Confetti Cake, contains 3.6% vanilla. That is why the Vanilla Color Stabilizer is added - to prevent the product from darkening and turning brown from the vanilla.